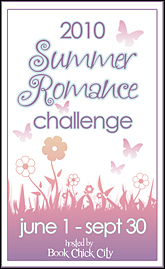 The Mermaid’s Mirror by L. K. Madigan and Romance Challenge Update – It's Time to Read! I had seen this book around and saw it had good reviews, so I was very pleased when I found I could review it! My copy comes from netGallery. The star of the story is Selena, or Lena as she is known to her friends. She is an ordinary girl but seems to be experiencing weird goings-on. She often spaces out completely and regularly sleep-walks to the beach. She has always been drawn to the sea, and really wants to learn to surf. Her dad won’t let her though, so she learns in secret. But her reason for learning, and then taking on waves at one of the most dangerous coves is because she has seen a mermaid, and she wants to meet her properly. When the mermaid comes to her rescue she gives her a gold key. Lena finds the box it opens, and with it the discovery of the mirror and why she is drawn to the sea will change her life forever. This book is written for young adults but will be enjoyable for adults too. The book contains adventure, sea, love, magic and fantasy. I would class this a woman’s read, but I really enjoyed it. The story was gripping from the start, and intriguing. I found myself wanting to know why she was sleep walking and about this mermaid. The identity of the mermaid was easy to guess, as was the ending, but that didn’t spoil the book for me. There are two worlds explored in this book – land and sea. I liked how when Lena was on land we caught just a glimpse – the odd paragraph at the end of a chapter – about the sea world, and vis versa when she was in the sea. Both worlds were fascinating and full of characters you couldn’t help but like. 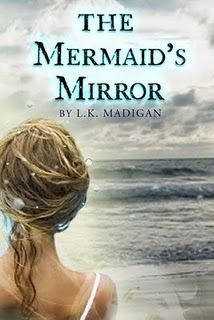 I liked that Madigan didn’t create an underwater world similar to that in The Little Mermaid. She created a modest village made out of rocks – there were no castles or anything! I think I preferred the land world to the sea world because I didn’t like the cloak that Lena had to wear to survive. It took away her memories so she couldn’t remember her family or friends – it was quite manipulative, keeping her in the sea world, taking away the option of land. The book was full of great characters. I loved Allie, Lena’s step-mum, because although she married Lena’s dad Brian when Lena was 9, she had slipped into such a good mother’s role that Lena called her Mum and they had a great mother-daughter relationship. I loved Nix, the merman. He was very easy to fall for. I was gutted that he didn’t follow Lena to land. Their love had to end, and although him becoming human might have been too far-fetched and predictable, I would have really liked it. I did like Lena, although she could be stubborn sometimes, and I didn’t like how she sneaked around. My favourite character was easily her 6 year old brother Cole though. My heart melted for his character. He was so cute. He was eager about sports and adored Lena. I loved their relationship and I was glad it was Cole that Lena came home for. I got very involved with this book and really enjoyed it. I laughed and at one point nearly cried. I was hooked and read this in under 24 hours. I would give this 4/5.